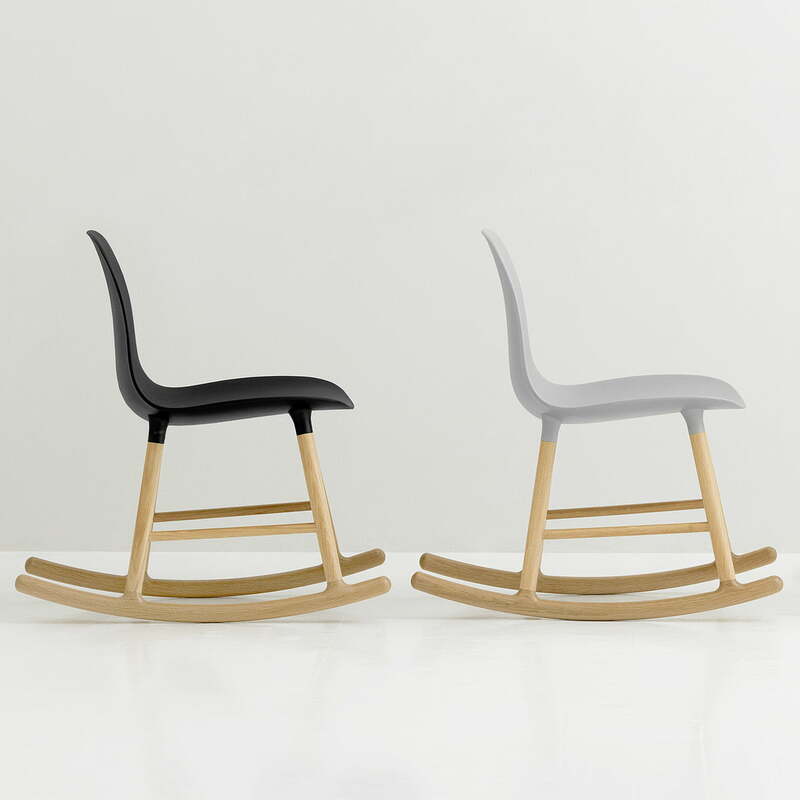 As part of the Form series by the designer Simon Legald for Normann Copenhagen the Form rocking chair inspires, as well as the other Form chairs, with a unique connection between the seat and base: Thanks to the plug-in system the legs seem to “grow” from the seat. 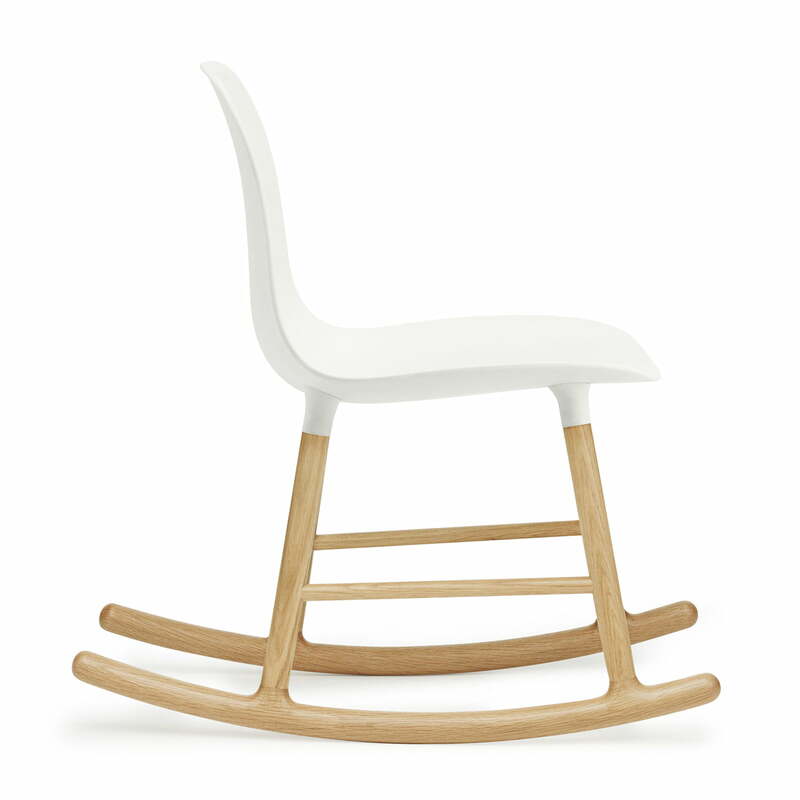 A modern and timeless rocking chair in Scandinavian design. The rocking chair is a simply designed chair without armrests, which adapts to any interior, thanks to its minimalist appearance. The combination of plastic and oak wood gives the rocking chair an elegant and inviting appearance. 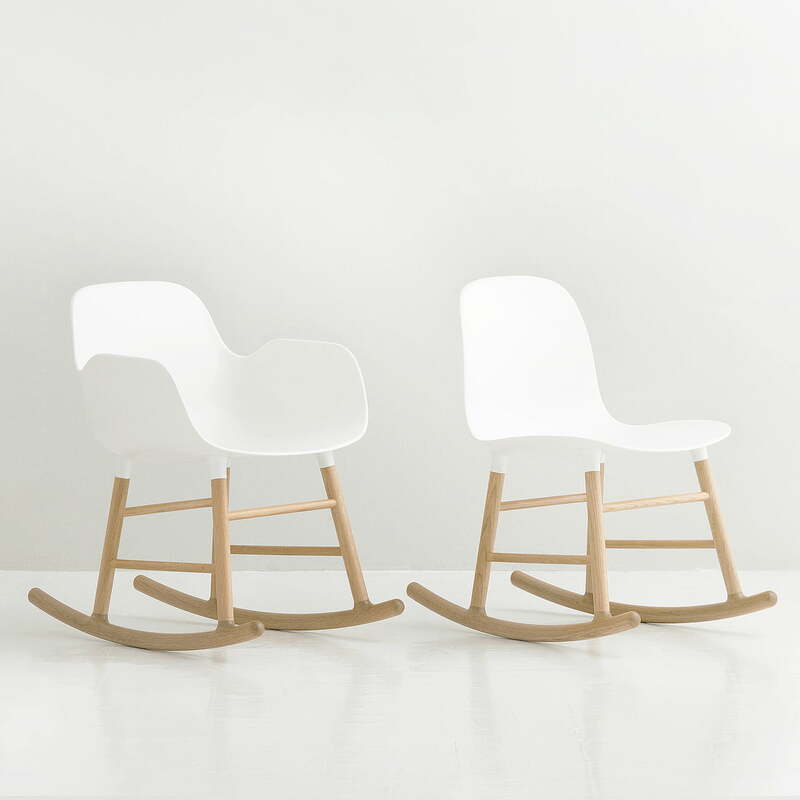 Due to the shape of its seat the Normann Copenhagen Form rocking chair provides good support for the back, as well as full freedom of movement. The strong materials and the contoured seat provide comfort and stability and you can safely rock back and forth. 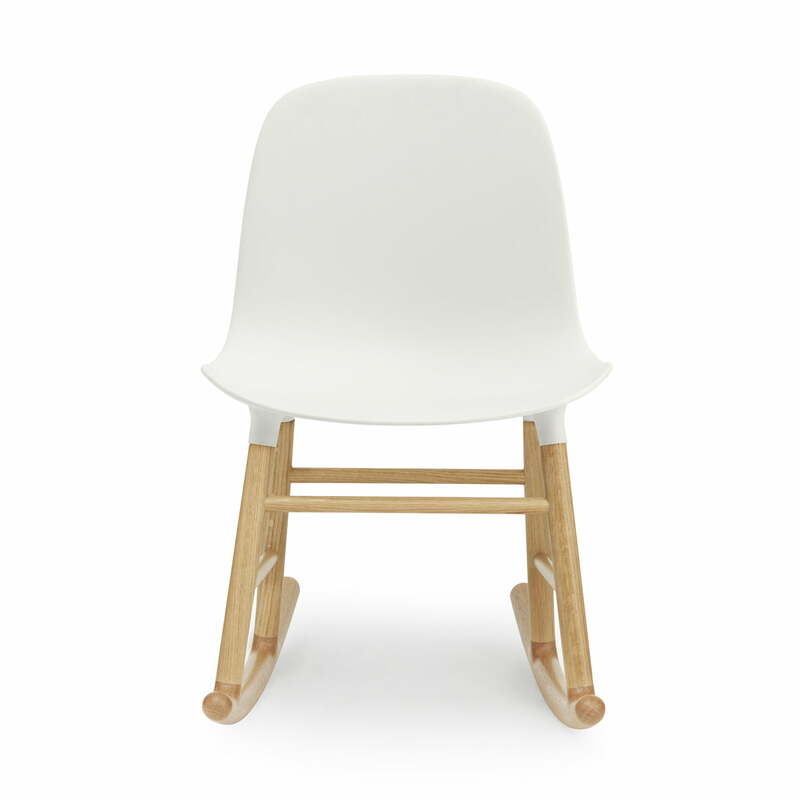 On request the Form chair is available in many additional colours, as well as with a seat with armrests available. 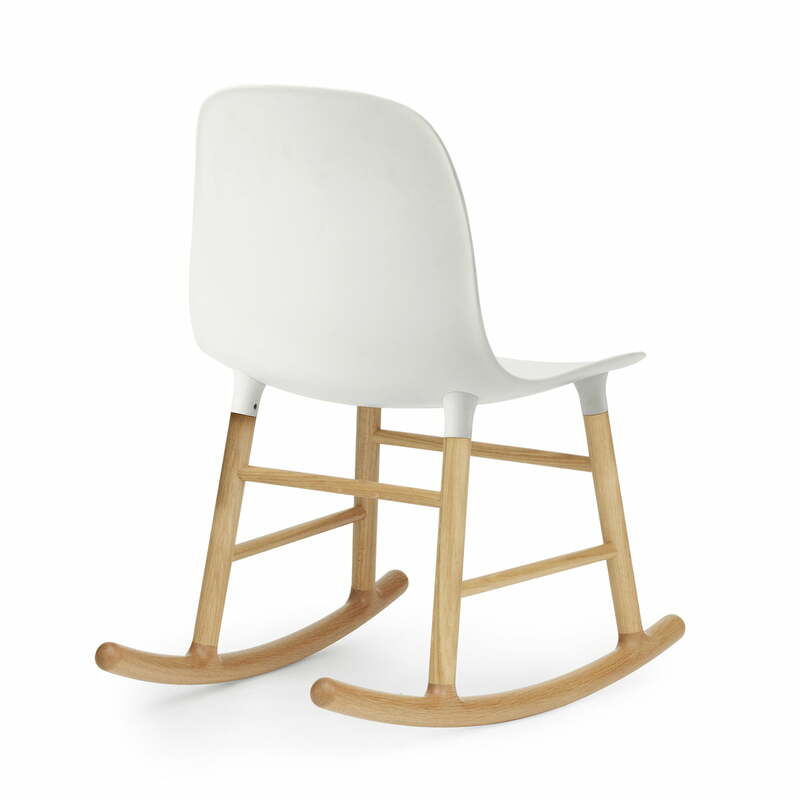 The Form rocking chair by Normann Copenhagen is a rocking chair without armrests with wooden legs and a plastic seat. The seat and the base are connected through a plug-in system. 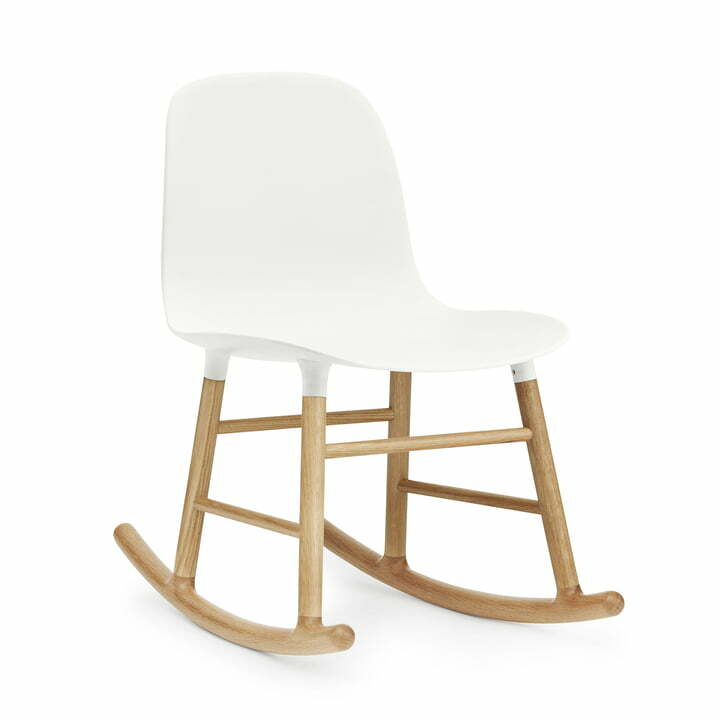 The rocking chair is a minimalist designed chair made of oak in white without armrests that matches to every interior thanks to its simple and elegant appearance. 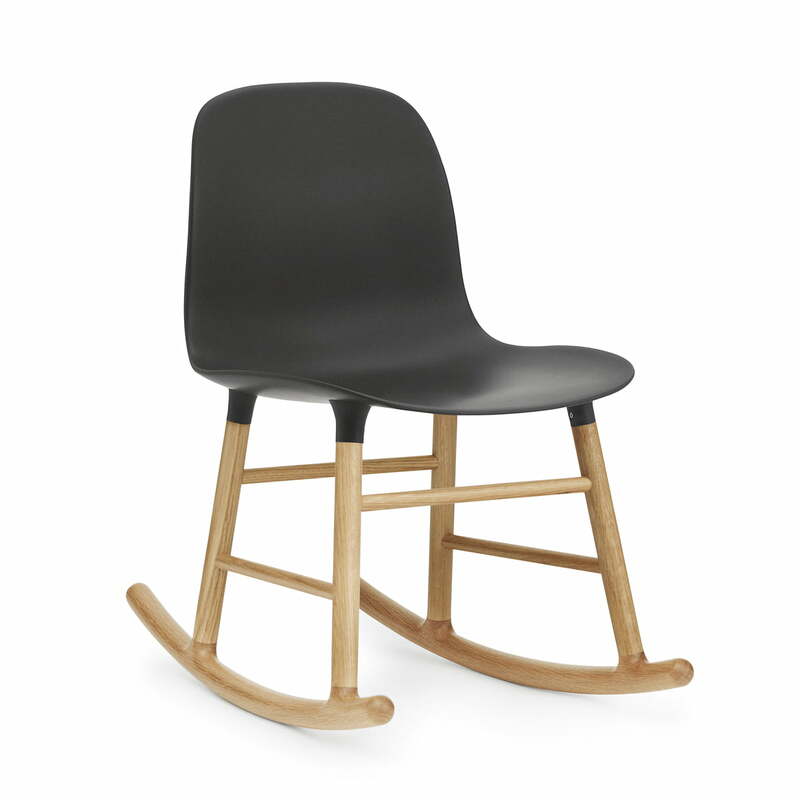 The combination of plastic and oak gives the rocking chair an elegant and inviting appearance that not only fits into your home but also in the office. With the Form Chair with wooden legs, Normann Copenhagen presents a chair whose classic and at the same time modern design fits into any kind of surrounding. 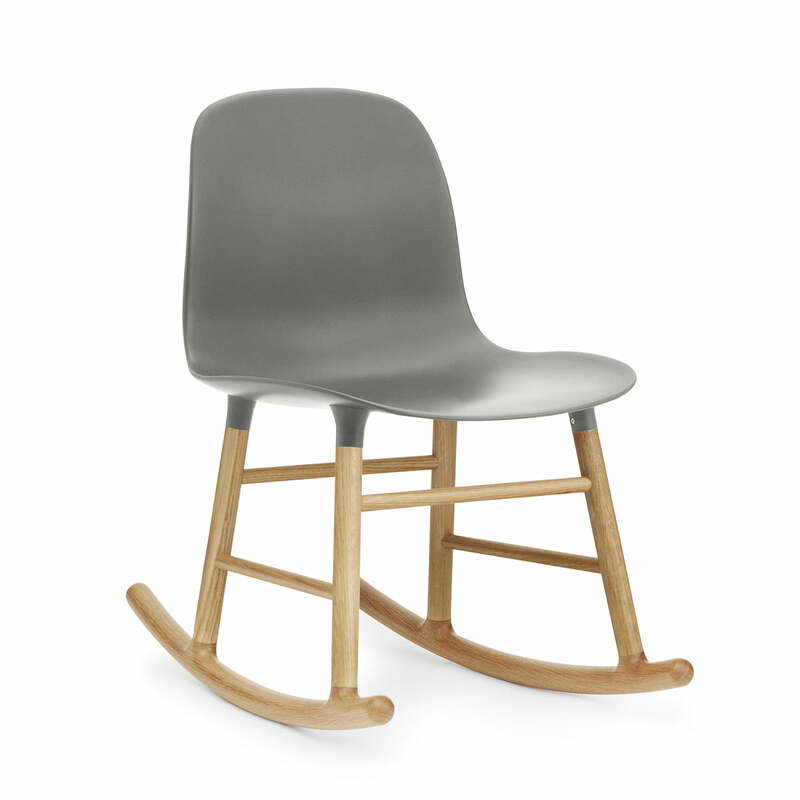 The Form Rocking Chairs’ strong materials and the contoured seat provide comfort and stability and you can safely rock back and forth in the chair by Normann Copenhagen.